What's so special about this years' French Open? Actually, the real question is: What's not special about it? There's been quite the hype going around about whether Roger Federer will be playing in the tournament this year, however, some sources have him staged as feeling very confident, after his win at the new Istanbul Open, which ran it's first tournament just this last week. But let's take a look at the other favorites. Rafael Nadal, who is the clear favorite to win- so far with 9 French Open titles, is expected to be there. With the most fluid feet I've ever seen on clay, an intuitive set of footwork and speed, there is no reason that a 10th French Open title is not possible for this contender. Last years' champion, Maria Sharapova, still has the skill-set needed to be every bit as successful as she was last year. Being somewhat of a late-bloomer in the tennis world- after her extremely young success in her teen years, and somewhat of a drought thereafter, is it finally time for consistency to follow her in this tournament? That being said, the women's field has always been just as competitive as the men’s', if not more so. Sharapova doesn't go down without a fight, and is one of the most energetic, albeit, powerful athletes on the field. Let's take a step back here for a minute. In this day and age, no sport is easy. The grand masters of the stage work their hardest to put themselves in the best position to win at their level, and what we see as the result is their making it look easy. It's anything but easy. The last years' quarter and semifinals on both the men’s' and women’s' sides have been projected in a similar light to the final- and the caliber of players who are making to the rounds of 4 and 8 make the pre-final bouts a final stage in themselves. When you see Novak Djokovic and Rafael Nadal battling it out just to get into the final, you know you are getting a quality show here. When two top-20 players and a prior top-10 player are in the women's draw of the semifinal (2013- R. Vinci; S. Kuznetsova)- along with Maria, you get the same feeling. The games have never been better. The audience has never been more alive. The play has never been more enticing than now, and we know things are going to keep getting better. It's never a tournament with newbies. It seems that almost every year, there is a prior Junior champion that steals the show- comes from out of nowhere it seems- gives it their all- and appears to have a real shot at this tournament. Last years' women’s' tournament featured Taylor Townsend, a Chicago native, who made it to the second round, advancing over France's top-seeded player. Could we see the progress of someone like Melanie Oudin, from last years' Wimbledon, come so close to making to the 4th round of play? And Federer losing to 25-year-old Ernests Gulbis was also a shocker to many. He's not extremely young, but obviously still qualified. It's things like these that make some of us think twice. They show us that it's the season for tennis, and clearly anything can happen. Yes, every year, it seems Roland Garros reaches is max. There are more feet than there are seats. The traffic swells in and around the whole event for three weeks. People are bustling through crowds, constantly trying to get a better glimpse of the goings-on- in the hopes of seeing something unexpected and extraordinary in order to be able to tell the tale. (But let's face it, Paris is not the simplest city in the world to explore or navigate. If you're looking for accommodations in Paris, it may be best to stick with a travel site that's just as fun as the tournament). And you're definitely going to need a recently-updated GPS to get around. When a prior-years' champion sees defeat, they want to say they saw it first- and in person. The kind of talent that we witness is not easily paralleled; you will see much the same thing if you buy tickets to the NBA playoffs, or the super bowl, it's just a different sport. When a freshman underdog roars over a seeded hopeful, it's an experience that no one is likely to forget anytime soon, and that is what the tournament is all about- the experience. It reminds us of why life is so great: because we get to have these experiences that enrich our lives. 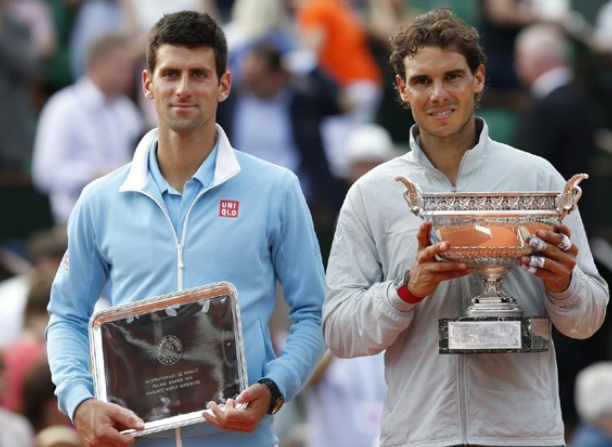 Breaking down the 2015 French Open tournament.